We all have those moments – the moments where we catch a scent that reminds us of our house growing up, a person’s face seems oddly familiar, or a movie makes you have a flashback to watching it in your PJs as a kid. Whatever it is, we all have those throwback moments that make us really want to watch a good movie and get a “blast from the past”. But, usually when you have these sudden urges to watch something from your childhood, your adult memory sets in and you actually forget everything that you watched or experienced as a kid. If you are one of those people who feel their memory drifting from them so fast that you cannot remember those good movies to watch on a throwback night, we have you covered. We have done the hard work and heavy lifting for you. We have scoured the web, dug into our movie collection, and attempted to find the best “movie throwbacks” that someone could every want. Now, before we go any further, it is important to remember that a “throwback” to someone, might not be a throwback for others. If that is you, I do not mean to offend or call you old or young. Whether you are young or old, these are classics that you should add to your watchlist. Ever wonder what the cartoon Peter Pan (of some sorts) would look like if it was made with actual actors? Well, this is your movie. 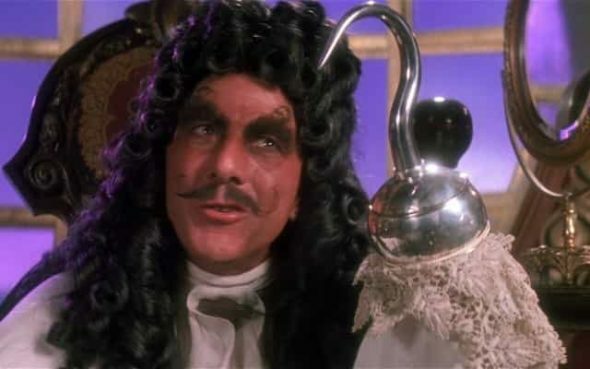 Robin Williams takes on the role of Peter Pan, braves pirates, and imagination. This movie will cause you to “think like a kid” even as an adult. When an all-boy club joins a soapbox car rally, they will have to face their challenges of the girls. This hilarious and creative movie will send you back to when you had your first crush. We all remember those awkward attempts of having conversations, flirting, all while trying to juggle the balance of “being with your group”. This movie will have you laughing all the way! This is one of those that will only be a throwback for some. While most people will probably be rolling their eyes right now, you have to admit that it created quite the movement when it was first released. Due to that movement that came from the movie, we had to include it into the list. This cheesy, literally “high school musical” will have you making nachos with the amount of cheese that it has, but you will feel relevant with the young folks after you check this off your list. Have you ever wondered what life would be like if there were still dinosaurs? Well, welcome to Jurassic Park. In this movie, you will see the life human and dinosaurs – the fright, the interesting, and the gore is all included in this film. Most movies focus on the adults being the spies – James Bond, Keeping Up with the Joneses, and the list goes on. However, the difference in this movie is that the kids are the ones who are the spies. The show definitely has it’s quirks of weirdness, but it is definitely worth watching. One of the best and long standing love movies. This movie is funny, sad, and heart wrenching. Don’t be surprised if you end up crying during the movie (yes, I’m talking about the person who is saying “not me” right now). It will show what true love is and the commitment that it requires, even when facing some great challenges. We have dinosaurs and humans and now we have aliens and humans. This movie will make you second guess if your weird aunt is actually human or if she’s an alien in hiding. Will Smith stars as a hilarious partner to an old, crusty veteran spy. The movie is definitely worth seeing, even if you are not into sci-fi type of movies. We all are guilty of getting caught talking to our dogs or other animals. We can’t help but think that they can understand us. But, do you ever wonder what it would be like if the dog could talk back to you? This movie will appease your curiosity and make you wonder even more if your dog can talk. No movie list would be complete without Tommy Boy. An absolutely hilarious film that will have you rolling on the floor with laughter. The dichotomy between the two men that are trying to keep the business afloat will make you want to watch the film right after you finish it. There you have it folks – a list of great throwbacks that will have you laughing, crying, spooked, and feeling good. Each movie has a great reputation, or at least had a great reputation. Give each of these movies a choice. You don’t have to like each of them, but it is worth giving each of them one good watch. Think we missed any must sees? Let us know and we’ll add it to our list for future reference. ← What Is DISH Anywhere & How Does It Work?